Watch us live on IMC TV Tonight at 18:00 p.m.! 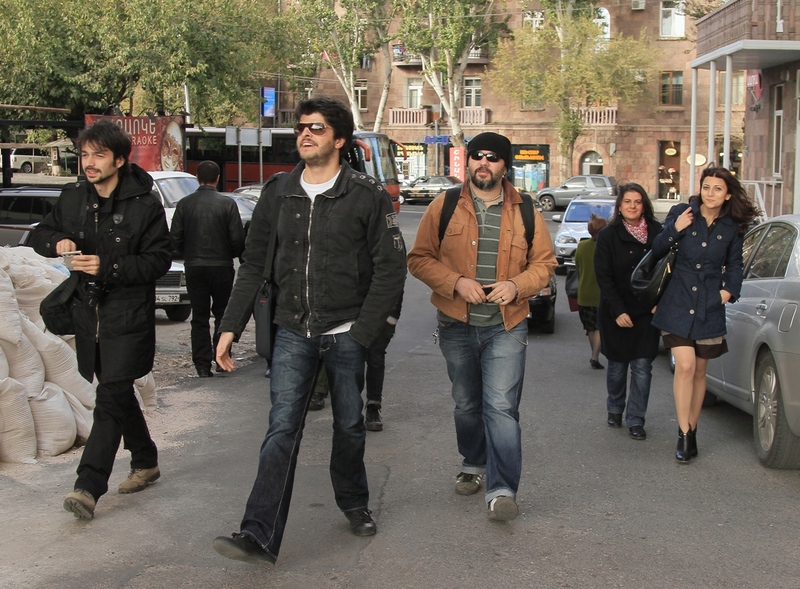 Tonight, 34Solo and PechaKucha Night Yerevan is going to be live on program called Gamurc with Aris Nalcı at IMC TV. Watch us live at 18:00 p.m. Here is link!! don’t miss!! You can watch program from here! You can listen and download full radio show from here! 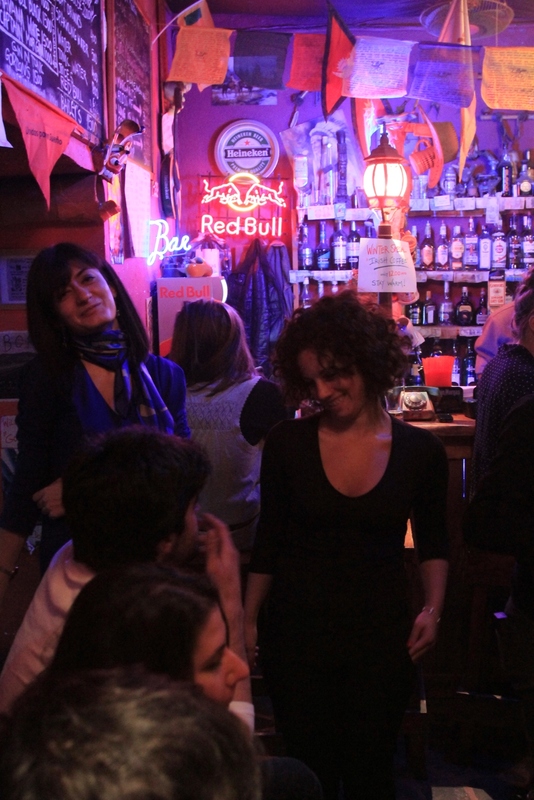 PechaKucha Night Yerevan-Istanbul is going to be on Açık Radio! 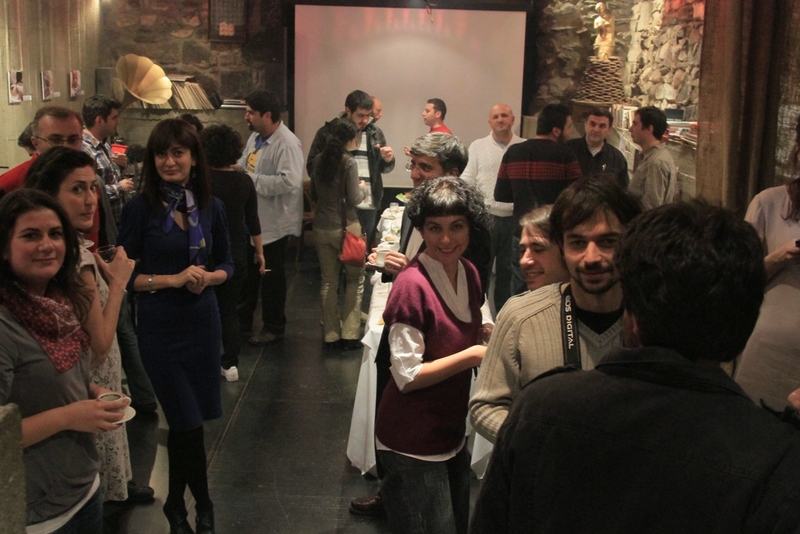 PechaKucha Night Yerevan-İstanbul Close Creative Encounters is going to be on Açık Radyo! 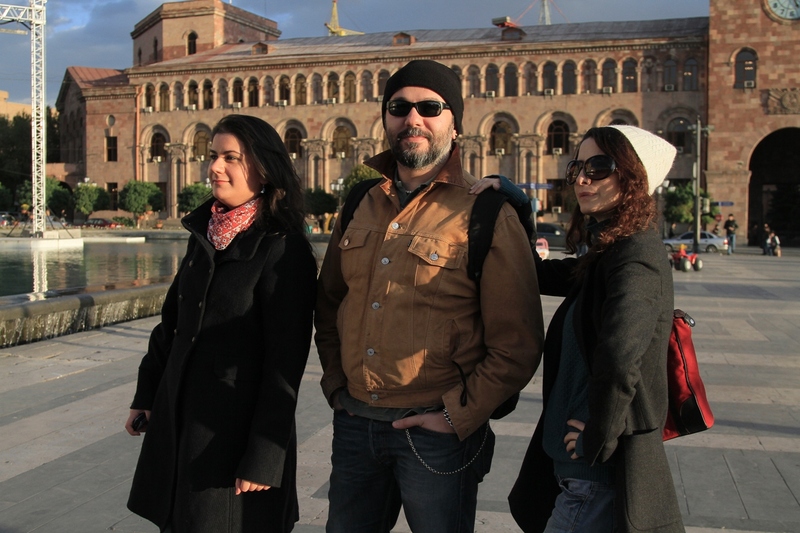 This week we are going to talk Yerevan journey with Kaan Sezyum and Nurten Meriçer. Deniz Özgün’s sightline of Yerevan. 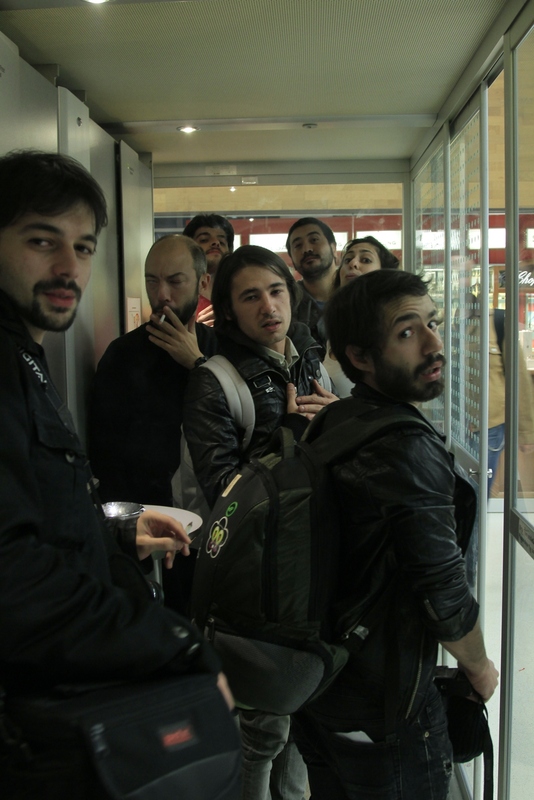 Deniz Özgün has graduated from Photography and Video Department at Bilgi University. 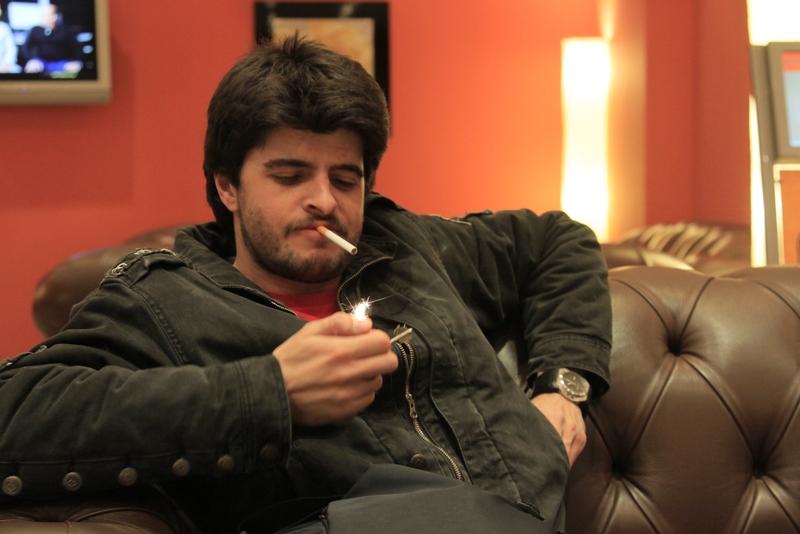 He lives and works in Istanbul and Paris. 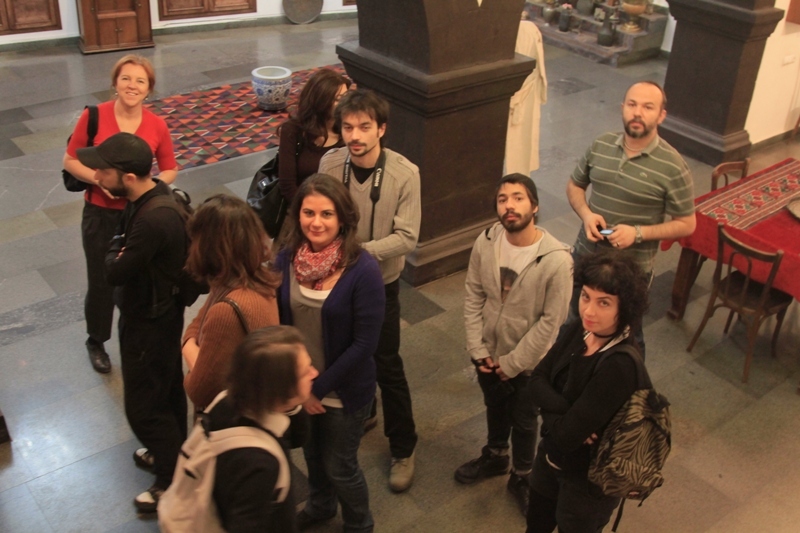 He has been one of the presenters who attended Pecha Kucha Night Yerevan – Istanbul. Creative People make many things happen! On 8th of November, we witnessed an incredible Pecha Kucha Night connecting two cities. Our speakers from Istanbul and Yerevan were Deniz Özgün-Box Video, Andranik Pilosyan – Bla-Blas, Banu Durmuşoğlu-Building- Information Centre, Sergey Sargsyan – Headlines vs. 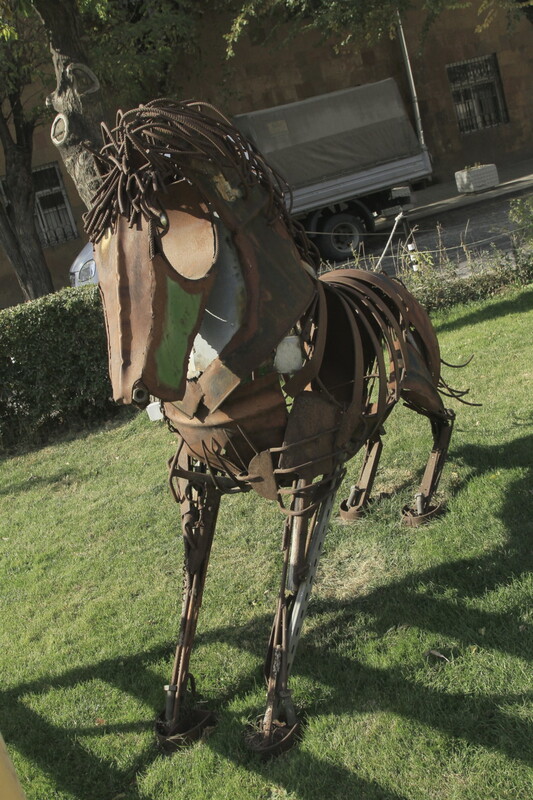 Reality, Albert Poghosyan – iTeaching Kids for S.M.A.R.T, Mertkan Yılmazer- Play for Nature , Emre Güneş- Guerilla Lighting, Barbara Siebert – Buffer Zone & Eco Tourism, Sarhat Petrosyan – Index Next, Sona Kyurkchyan – A New Existence for Medieval Armenian Ornamental Art, Can Yücel Metin & Boghos Yegyhazar – Flavors without Borders! Deniz Ozgun was the first speaker of the night. He presented “Bogazici Jazz chorus: a Story of Success” They have amazing voices and Deniz made for a video clip and uploaded to the social media and networks. After Deniz, Andranik Pilosyan came to stage. His presentation Bla Blas was about all communication styles, past and future times, and also the effect of words. Architect Banu Durmusoglu talked about community around “the Building Information Centre” and its possibilities. Sergey Sargysyan’s presentation was ‘Headlines vs.Reality’ making fun of mainstream media and cliches. After, Albert Poghosyan showed us his interactive play projects for kids, named “iTeaching Kids for S.M.A.R.T”. Other speaker Mertkan Yılmazer from “Play for Nature” showed their projects and videos combining nature and music. After a warm and socializing break, the night continued with Emre Gunes and his presentation ‘Guerilla Lighting’. Unlike the title, he indicated that it is a peaceful event and he gave a flood lamp to one of the audiences as a gift. Barbara Siebert showed us the significant points about Buffer zone and Ecotourism. 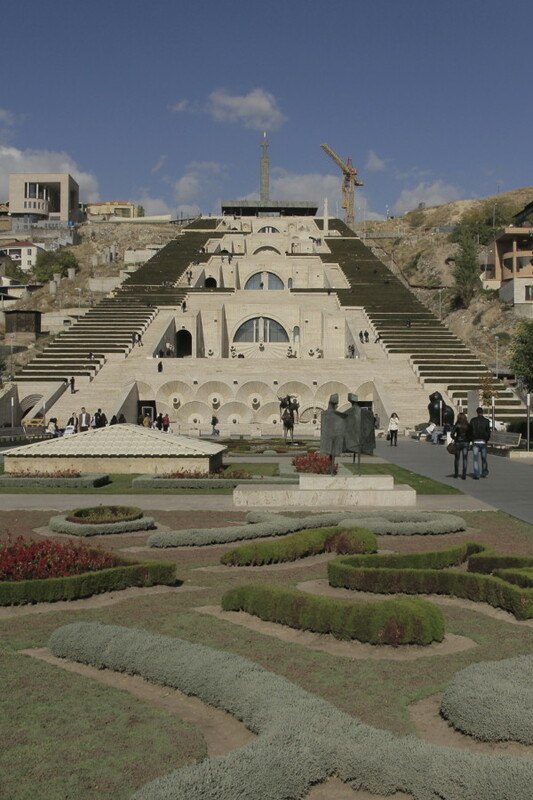 She draw attention to the virgin landscapes of Armenia. She called everyone to discover the wildlife. Sarhat Petrosyan had a presentation called “Index Next” about Architectural Design. 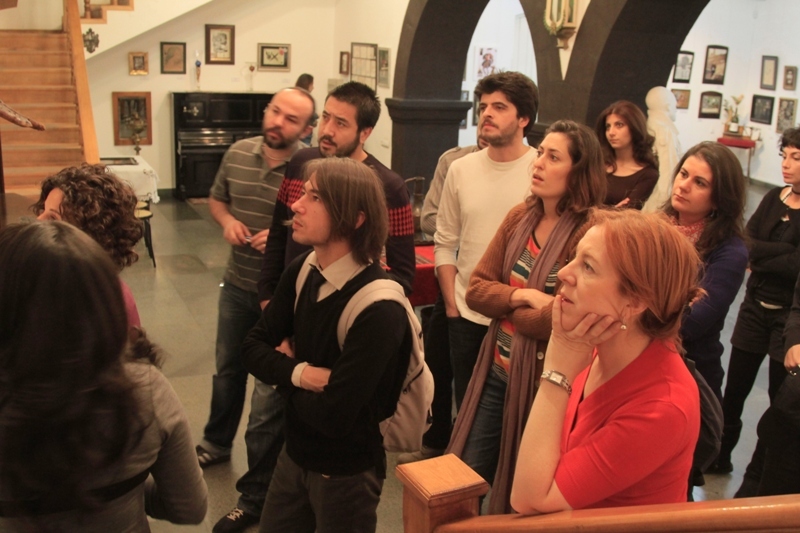 He shared various multidisciplinary projects and ideas leading the first nonprofit design and planning inYerevan. Sona Kyurkchyan explained new approaches to design, architecture, art and photography with “A New Existence for Medieval Armenian Ornamental Art”. And the last speakers Boghos from Yerevan and Can from Istanbul came up with ‘Flavors without Borders’ They introduced a humorous and amusing presentation with culinary activities and a canzone from Giuseppe Verdi’s opera Rigoletto . They performed a duet singing “ La Donna Mobile” with piano. Imagine this: We began eating in the afternoon with little breaks untill the end of Pecha Kucha Night! I believe that culinary culture is the most effective way of connecting and understanding norms, habits and customs of a location. And also eating is universal, constituting an indispensable component in every culture. 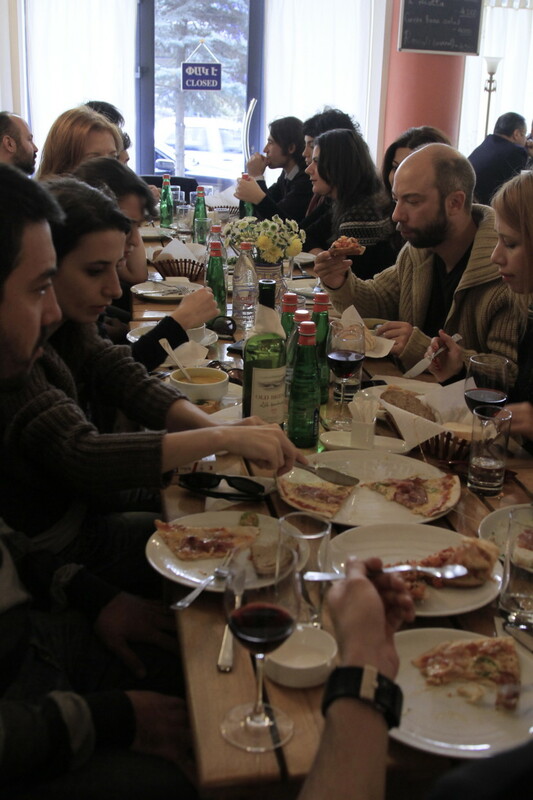 All in all, the reason behind our half-gourmet trips was not this intellectual concerns but rather we love to eat! 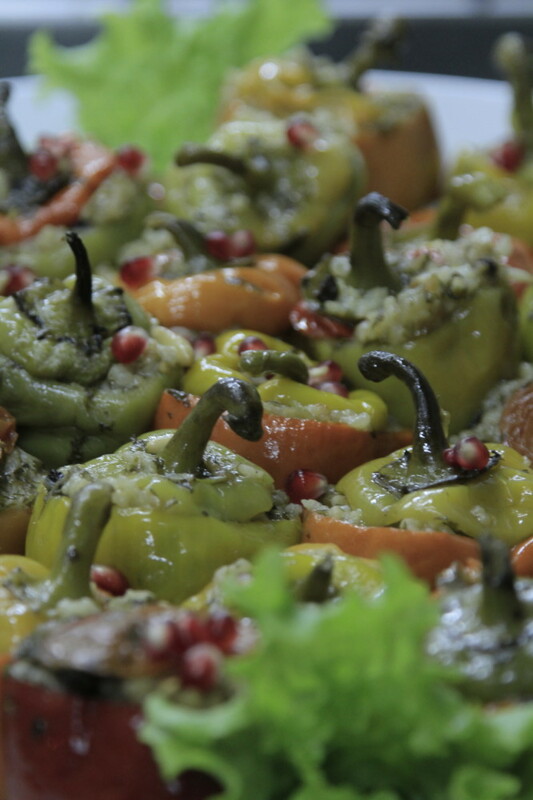 Not surprisingly, we ran across very familiar flavors while tasting Armenian dishes. 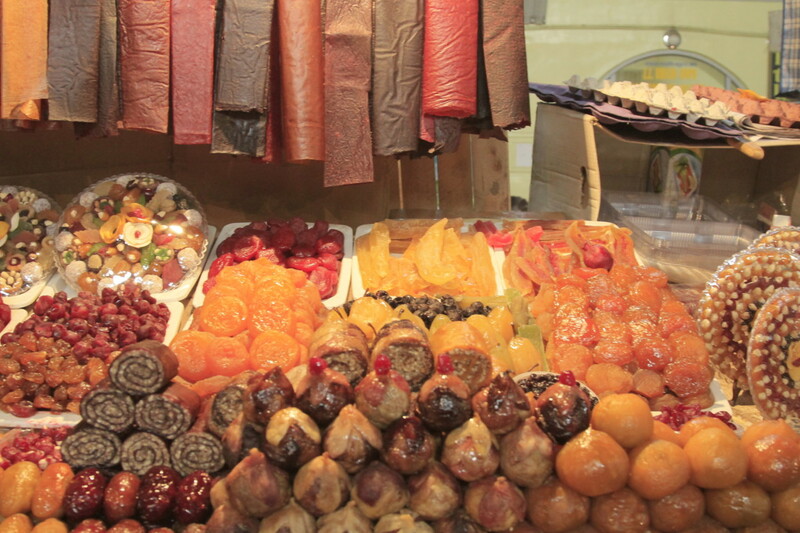 We enjoyed eating stuffed vegetables, dried meat, pickles, dried fruit, lavash, anoushabour, Armenian Coffee and many others. Despite the delays due to the gourmet stops, we were able to attend Pecha Kucha Night in time with little effort, thanks to Gayene Manvelyan and Vazgen Karapetyan who accompanied us by turns. Considering our whole trip, we felt as valuable houseguests receiving great hospitality. Yesterday was one of those days that you start with joy and complete flawlessly. Even though we spent a sleepless night wandering around the city, we were still wakeful thanks to cool and sunny weather of Yerevan. Matanederan is an ancient manuscript repository which has a very wide collection. 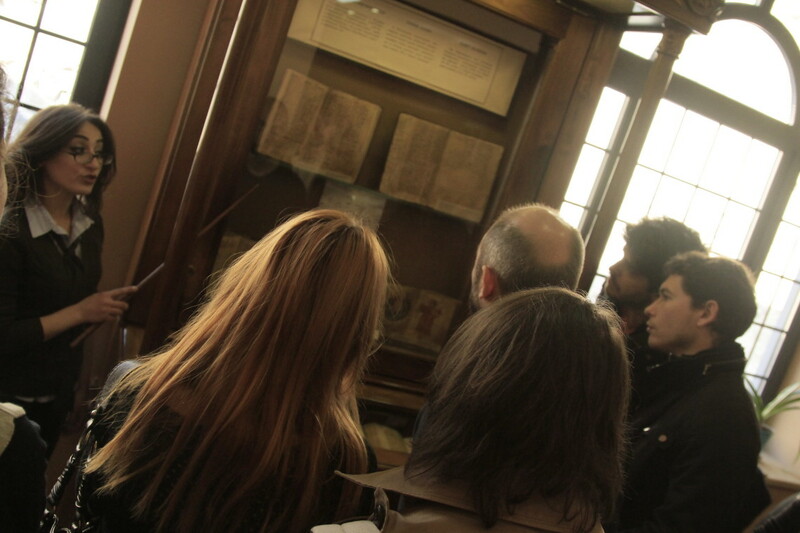 Our visit to Matenadaran has been a scriptural one which addresses books, medieval manuscripts and other documents written in different languages and alphabets. 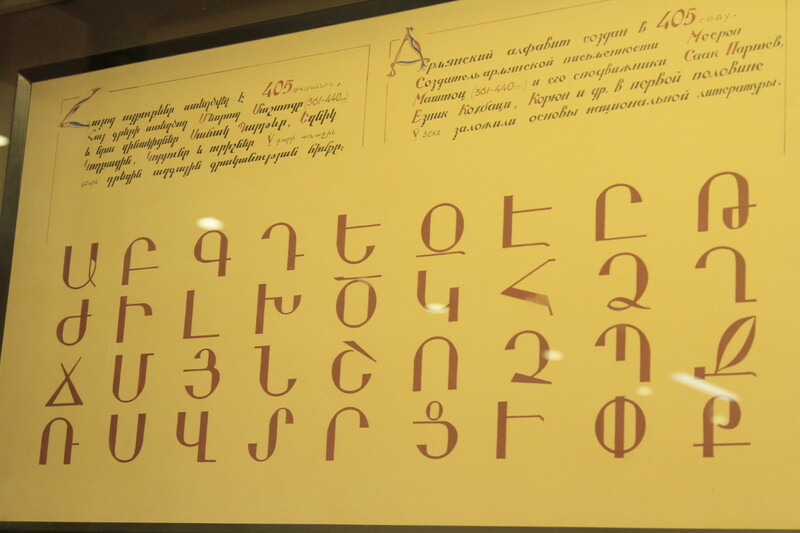 I was impressed to see this giant showcase of Armenian written culture that gives an idea and even improves our conceptualization as well as extending imagination about the old times. We were like in school days trying to learn and understand. We tried to figure out how Armenian alphabet is systemized but realized that it was an ambitious attempt to learn its encoding in one day. Our crew consists of people who are motivated by culture, arts, aesthetics, innovation and creativity. When Gayene offered, Everyone agreed to visit another cultural stop: Modern Art Museum. *Verba volant, scripta manet means ‘Words fly away; written letters remain’ in Latin. Limited time transcends the limits. I have always wanted to be a part of the curious crowded. Our lovely guides were organized by Eurasia Partnership Foundation. After experiencing the amazing imagination of Paradjanov, we thought we should also do something performative and decided to be models. Well, I know it was not a good idea but we enjoyed taking these photos. We attended the cocktail in the Club Restaurant to meet Pecha Kucha Yerevan Crew. We blended our souls with art in the Paradjanov Museum, we felt the spirit of city in the streets, we socialized with friends from Yerevan. Still, it wasn’t enough. 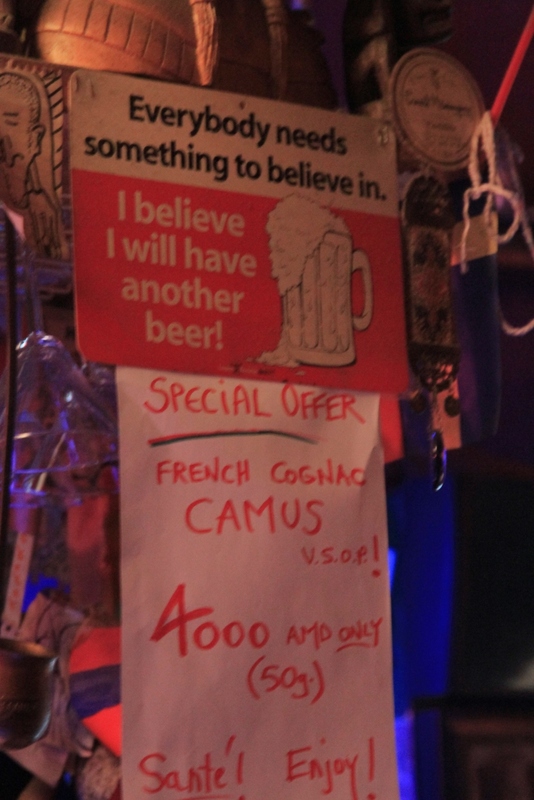 We had to believe in something and it was in this small local Bar in Pushkin Street. We landed at 04.00 a.m. with local time. 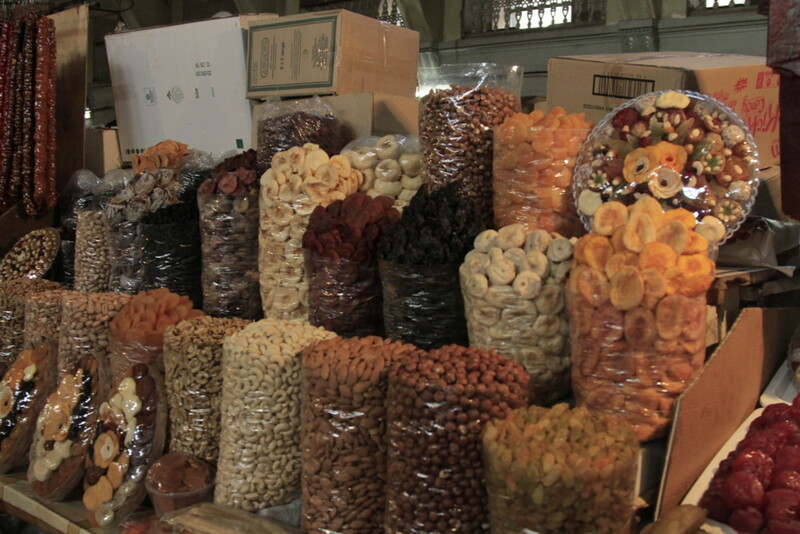 We spent more than 12 hours and had 2 flights to come from Istanbul to Yerevan. However, we are not likely to complain or lose our enthusiasm to see the other side of the mountain Ararat. It is so cool that everyone, each one of us do share the same feeling: eagerness mixed with excitement to see, discover and learn anything about this new location that we arrived after a gruelling process. Not surprisingly, the first thing we saw has been Zvartnos Airport which looks quite new and modern. We were greeted warmly by Vazgen who took us to our hotel. People get to know each other in depth during trips. Although we knew each other before, we discovered new aspects on the way to Yerevan and I am sure we will continue to discover more stories while creating new reminiscences. One of these discoveries is that according to the statistics conducted by me (which means totally invalid) 80% percent of our crew smoke! 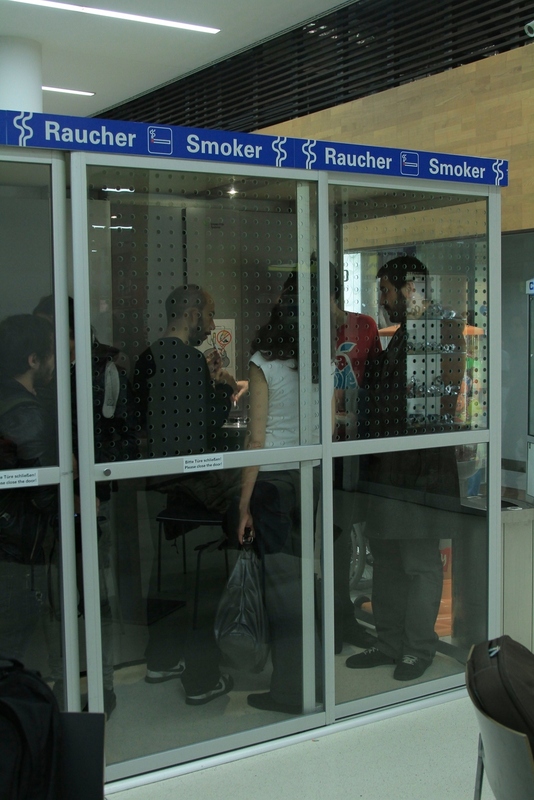 In addition, they do not rely on time and space, they take every opportunity as long as there is a place allowed for smoking.